This is the corner of La Sierra and El Sobrante in Riverside. 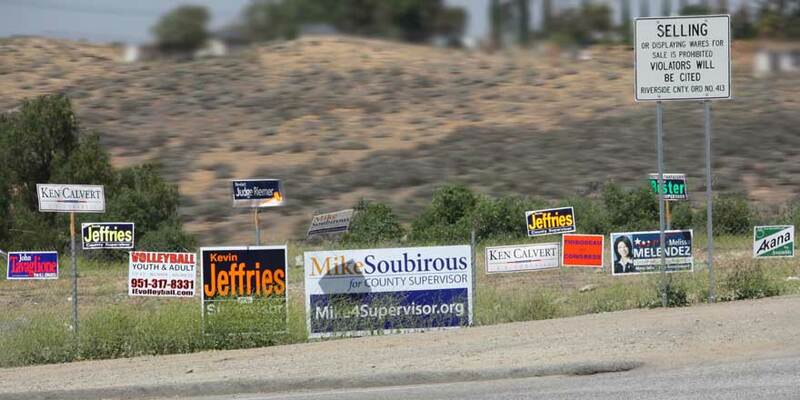 Although this particular picture doesn’t show them all, as of this afternoon I counted 28 campaign signs at this corner. 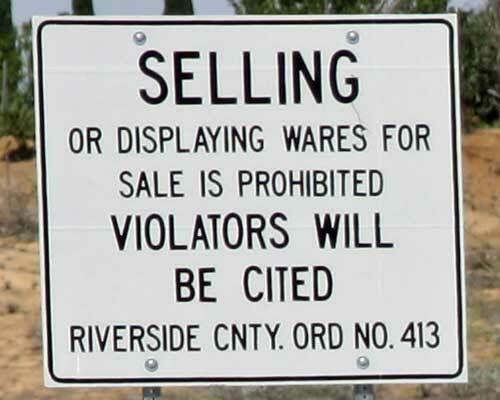 Good thing people are banned from selling things such as flowers on this corner; otherwise we might not be able to see all of the signs. Actually, I prefer the flower vendors.